Hurricane Danielle reaches Category 4! 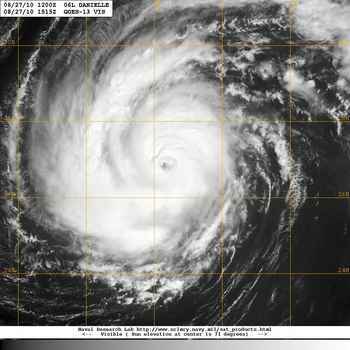 On 27 August 2010 hurricane Danielle strengthened to category 4 over the open waters of the Atlantic as it continued to move toward the general region of Bermuda, At the same time Tropical Storm Earl continues to have maximum sustained winds of 45 mph and it is holding its generally due west course. Following behind is a large tropical wave to the southwest of the Cape Verde Islands, which continues to show signs of potential strengthening and tropical cyclone development at it is surrounded by favorable conditions. 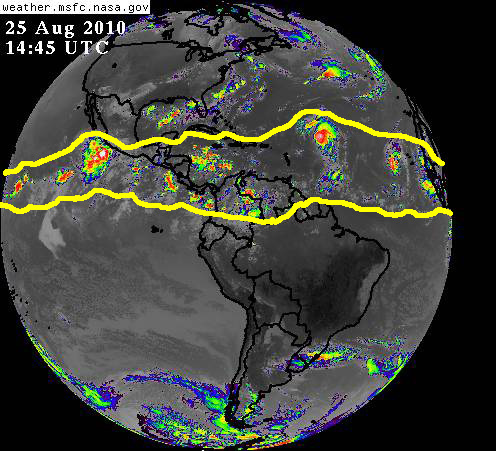 Not too fat behind several other tropical waves and areas of disturbed weather over equatorial Africa, and a far back as the Indian Ocean are all lined-up to get of the ‘assembly line’ and eventually ride ‘hurricane alley’ toward our neighborhood. 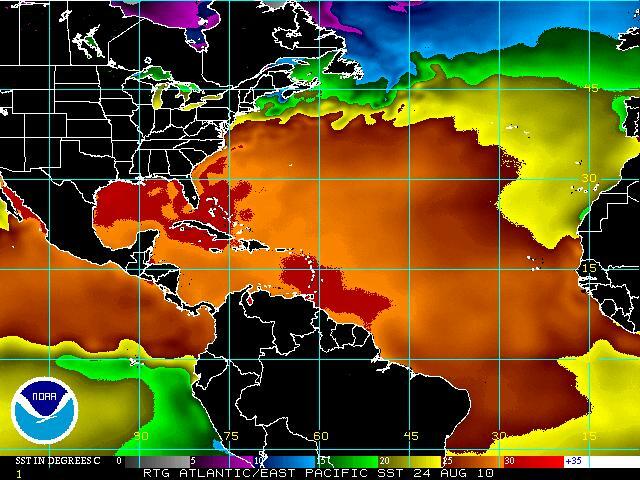 It is clear all interest in the Caribbean and Gulf basisn, and in Florida and the rest of the USA Atlantic coastal region must be on the alert, paying constant attention to all of these potential threats being generated by Nature as we enter the historical peak of the Atlantic hurricane season. Pay attention! Be prepared!! MITIGATE!!! Global mosaic, a composite of several satellite views, showing the Atlantic basin, equatorial Africa and the Indian Ocean. 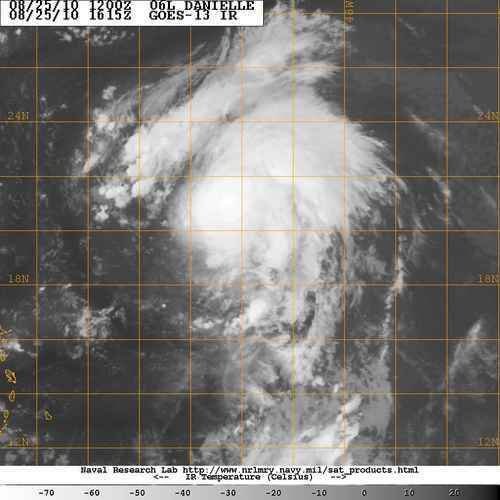 Hurricane Danielle and Tropical Storm Earl are cleary visible, as well as several tropical waves marching from east to west toward the warm waters of hurricane aley in the Atlantic.